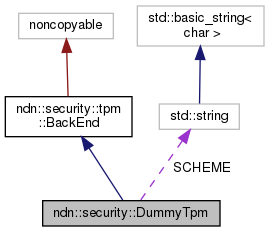 static const std::string SCHEME = "tpm-dummy"
Definition at line 162 of file dummy-keychain.hpp. Definition at line 273 of file dummy-keychain.cpp. Definition at line 278 of file dummy-keychain.cpp. Definition at line 284 of file dummy-keychain.cpp. Definition at line 289 of file dummy-keychain.cpp. Definition at line 333 of file dummy-keychain.cpp. 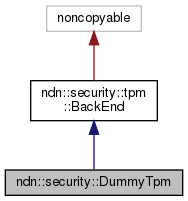 const std::string ndn::security::DummyTpm::SCHEME = "tpm-dummy"
Definition at line 213 of file dummy-keychain.hpp.